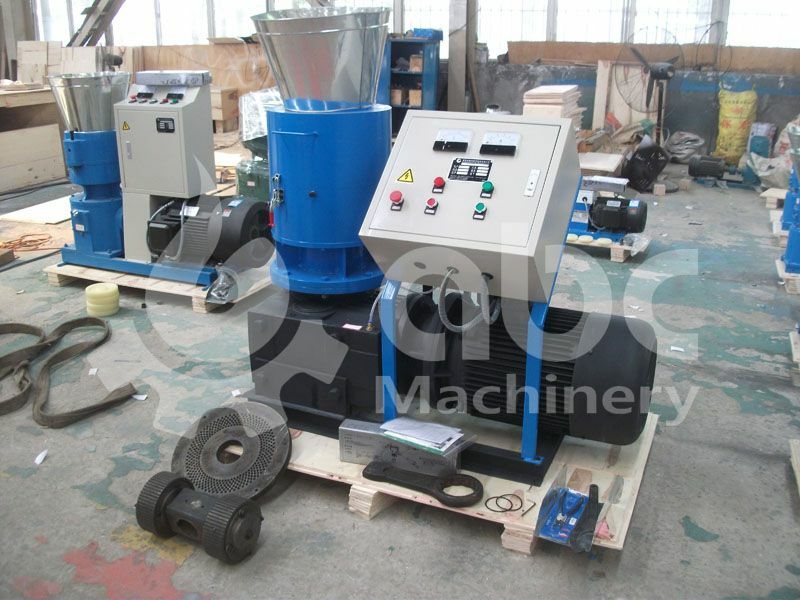 The following photos are ZLSP-R 300A wood pelletizer with customized color. It is ordered by a buyer in Taiwan. He want to make small scale BBQ pellets from oak wood wastes. As his lucky color is purple, the equipment color is changed from default blue to purple. View the equipment photo below to see more details. Pricing is a big strategy towards attracting customers as we try to assure that our machinery is quality and it is priced competitively. Oak wood pellets has been put into production for many years, and steadily gaining popularity with its ever increasing customer base. Due its poor binding properties as it contains a very low percentage if resin, oak pellets are extruded using wood pelletizer. To make premium oak wood pellets, it is suggested to use 100% pure oak. Hardwood oak pellets burn clean and never dirt chimneys as compared to pellets made of spine wood or spruce. This is further enhanced by the fact that hardwood pellets contain no adhesives, binders or other added chemicals. The term base as used by most BBQ companies refers to the stable substance in their pellets. Oak and alder are the mostly preferred base substance. Some companies prefer 75% alder as base with the remainder being the main hardwood sawdust. For instance, hickory pellets is 75% alder and 25% hickory whereas the mesquite pellet is 75% alder and 25% mesquite. However premium oakwood pellets are 100% oak with no additives added. Oak wood pellets assume a light brown colour because of the raw material used. However the pellets may sometimes assume a darker colour and it really never translates to poor quality pellets as its the common misconception. Oak pellets are of very high calories value of up to 18.51 megaioules for every kilo of pellets. This property makes the pellets burn 30% longer than coniferous wood pellets. They also have a really low ash content further making these pellets attractive. Colour and shape of the produced pellets are the first thing to always look out for when choosing the best quality wood pelleting machine, always check the pellets for their uniformity in colour. Another aspect to check the condition if pellets as quality pellets should be shiny on their surfaces and without spots. They also should be compact. Another aspect to check is the type of technology used in manufacturing the pelletizer machine. Quality is directly dependent on technology as superior technology assures best quality pellets. Technology assures the firmness and compactness of the final pellets and as always the principle the harder the pellets the superior the technology used.